Greg Bamford is a educational thought-leader who consults on design thinking, leadership and strategic thinking. 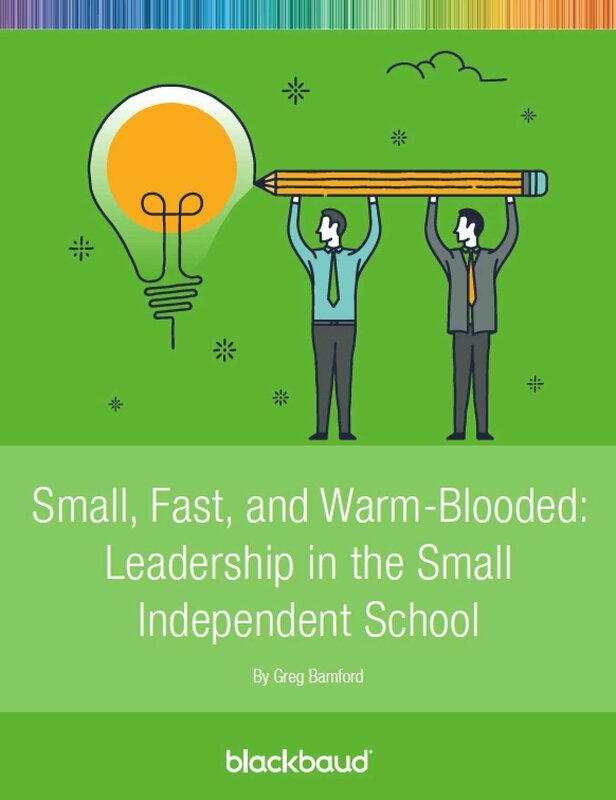 After working as a teacher at independent schools for over a decade, Greg co-founded Leadership+Design, a non-profit organization that works with school leaders across the country to support educational innovation. In 2014, Greg decided to focus his attention on one school and became the Head of School at Watershed School in Boulder, CO.
Watershed School is a unique school of 100 students in grades 6-12 . (Greg and I will be talking about what makes Watershed unique during the podcast.) Over the last four years, Greg helped guide Watershed's astonishing 78% enrollment growth and successful, first-ever ACIS accreditation process. There’s a saying that you can’t understand life as you’re living it, you can only understand it in retrospect. How do we hold on to that tension of preserving the core and stimulating change. How do you do both of those? This is a space that a lot of schools are in. Community is what provides the jumping off point for students to take healthy risks. At Watershed, who you are is as important as what you know. Wherever you are, take advantage of what is around you and use it as an opportunity to stretch kids and create one-of-a-kind experiences. What it looks like to succeed at a small school is different than at a big school. The students you enroll shape the school you become. We sometimes forget that a mission statement doesn’t need to include everything that we value, but rather what is our unique reason for existing in the world. We as educators have a phobia of marketing because we have a false idea that there’s something superficial about it. Brand at its best moment is who you are every day. Brand is who you are and the lived experience of a child is who is in your school. The message of what you believe about learning, and the rational for attending your school, hopefully is enduring. The work we do in schools is human and messy…and messy is not bad. Sometimes we try to make it artificially tidy. As a great thought experiment…if you had to offer a half-priced version of yourself, what is it you would keep? How the scale of your school affects how you approach innovation. Understanding your school’s competitive advantage, and the intersection of your mission and your market, and how to leverage it when describing your value proposition. How schools confuse mission and brand, and how your school’s mission statement can guide the development of a truly meaningful brand. How the founding mission at the Watershed School in Boulder Colorado has led to the creation of a truly unique school by connecting learning to the real world. How Watershed integrates off-campus trips and excursions into the mission-driven learning style that is unique to their community, like traveling to Selma, Alabama to study civil rights history and interview veterans of the civil rights movement. Or taking an afternoon at the local farm to understand the impact of agriculture on our ecosystem. What Greg has learned in his career as a teacher, marketing consultant to schools and as a head of a small school. How do you remain in the moment and really deliver what people need on the human level while also being strategic and staying the course in the direction you’ve set. What can schools do to remain healthy, relevant and robust in the environment of ever-rising tuitions and increasing competition? Download the fascinating e-book Greg developed for Blackbaud.